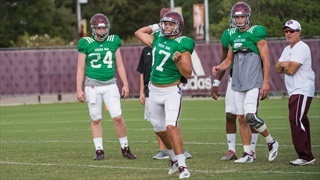 The Aggies were back on the field on Monday for their twelfth practice of the 2019 spring season. TexAgs presents highlights of the action with the return of Sights & Sounds. 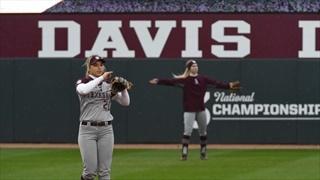 The Aggies were back on the field on Saturday for their eleventh practice of the 2019 spring season. TexAgs presents highlights of the action with the return of Sights & Sounds. 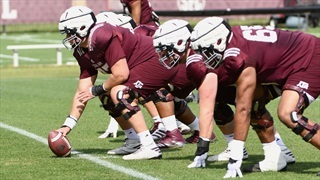 The Aggies hit the practice field again on Wednesday afternoon for their ninth practice of the 2019 spring season. TexAgs presents highlights of the action with the return of Sights & Sounds. 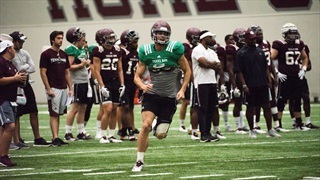 The Aggies hit the practice field again on Thursday afternoon for their sixth practice of the 2019 spring season. TexAgs presents highlights of the action with the return of Sights & Sounds. 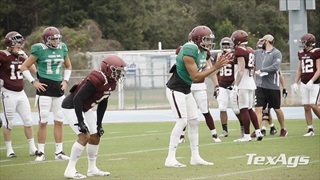 The Aggies hit the practice field again on Wednesday afternoon for their fifth practice of the 2019 spring season. TexAgs presents highlights of the action with the return of Sights & Sounds. 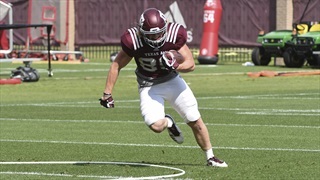 Texas A&M football hosted its annual Pro Day at the indoor facility on Tuesday afternoon as draft eligible players like Trayveon WIlliams, Jace Sternberger and more tried to up their NFL stock. 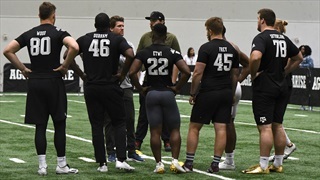 TexAgs was in attendance and presents Sights and Sounds from the day. 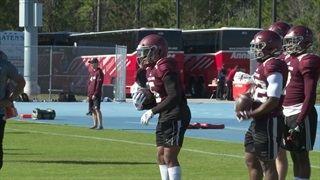 The Aggies were back on the practice field on Saturday for their third practice of the 2019 spring season. 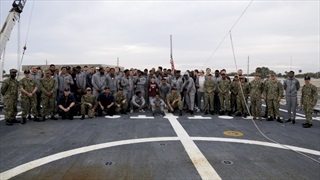 TexAgs presents highlights of the action with another edition of Sights and Sounds. 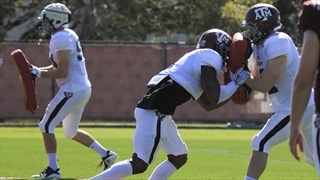 The Aggies hit the practice field this afternoon to officially begin Jimbo Fisher's second year of spring ball in Aggieland. 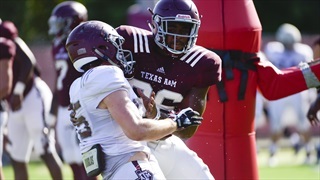 TexAgs presents highlights of the first day's action with the return of Sights & Sounds. 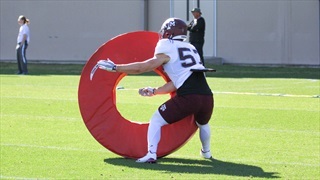 The A&M football team had a portion of Fourth Quarter workouts open to the media on Thursday afternoon. 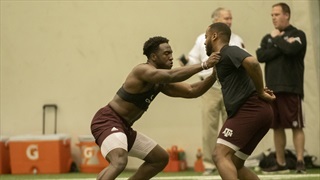 TexAgs was on hand to capture the sights and sounds of the workouts. 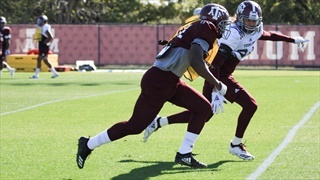 The Aggies held their second practice in the sunshine state as A&M prepares for a match-up with North Carolina State on New Year's Eve. Check out some of the clips from the team's practice. 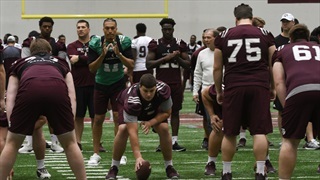 The Aggies are back after the holiday break to prep for the Gator Bowl on New Year's Eve against NC State, and TexAgs was there to capture some of the highlights. Check out some clips from the team practice. 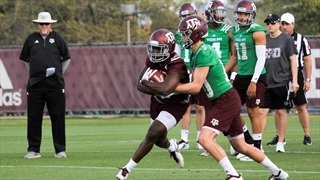 Texas A&M put together another energetic practice on Friday as the Aggies hit the Coolidge Practice Fields in full pads. 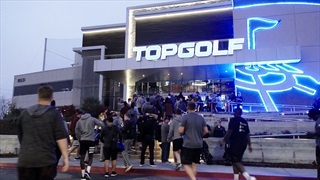 TexAgs was there to catch the action and presents the day's highlights. 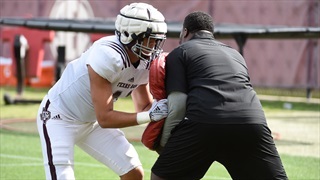 The Aggies hit the field for yet another fall camp practice on Thursday, and TexAgs was there to film the early portion of practice. 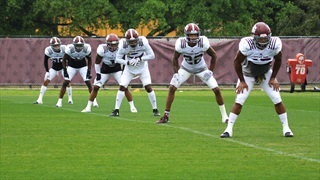 Check out some clips of the session's drills and highlights from the fourteenth day of fall camp.